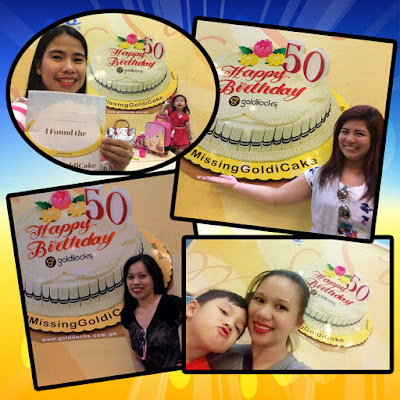 Early last June, Goldilocks billboards in key areas of the metropolis simultaneously displayed a giant 50th Anniversary celebration cake. The signature cake was truly attention-grabbing, featuring a delightfully decorated mocha cake with a number 50 candle topping it off. Roughly a week later, however, countless people were perplexed when these cakes literally went missing,leaving a gaping cake-shaped hole hole right in the middle of the billboards. Discussions and theories flew left and right on social media, with news reports in mainstream print and television following suit. People wanted to know where the Goldilocks 50th Anniversary Cake is? After a long search, the Goldilocks 50th Anniversary Cake has finally been found. 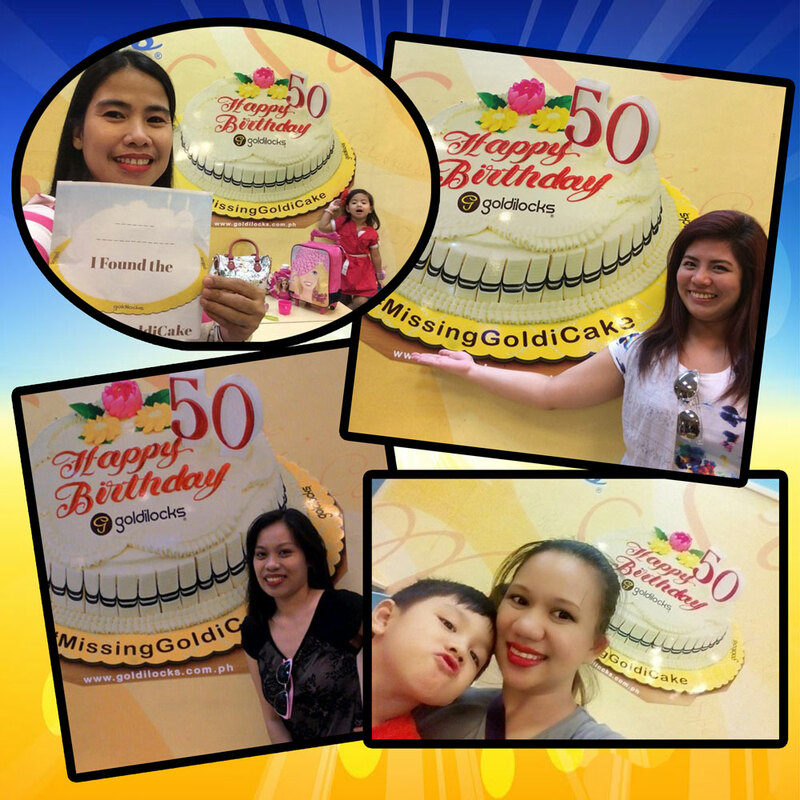 Thousands of people looked for the missing cake, and many found it in participating Goldilocks stores all over the city. Using an automated raffle machine, Goldilocks named five winners of P 10,000 cash among those who found the cake were Resly Morgado, Joahne Pauline Adaya, Maria Elizabeth Andres, Junella B. Doliata, and Maria Camellia Cabigon. Ten more received a cash prize of P5,000 and additional five more individuals won P 1,000 worth of Goldilocks gift certificates. All of the winners were first overwhelmed with curiosity, but ultimately had fun and are now looking forward to more amazing promos from Goldilocks. Follow Goldilocks on Twitter or Instagram at @GoldilocksPH, or visit at the official Goldilocks website at www.goldilocks.com.ph to know more about Goldilocks promos.